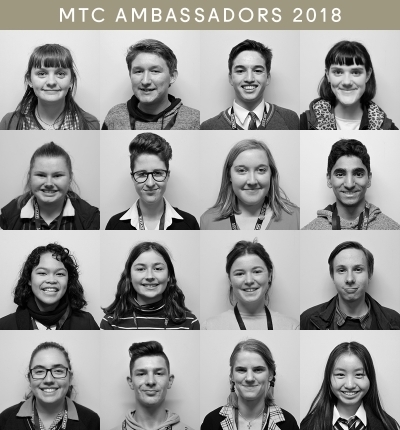 Each year MTC welcomes a group of Year 11 theatre-lovers to become MTC Ambassadors. These Ambassadors participate in a year-long extension program that offers insight into the world of professional theatre. Each month they attend an MTC production, meet with artists and staff, and share their experiences of theatre with like-minded peers. The sixteen Ambassadors for 2018 have a wide range of interests including acting, directing, costume design, prop-making, and stage management. They include three students from regional schools, with one traveling 220km each month to participate in the program. So far this year the MTC Ambassadors have had four meetings and attended performances of Abigail’s Party, Hungry Ghosts, Wild and The House of Bernarda Alba. At their first meeting, the Ambassadors met Stage Manager Pippa Wright, and had a backstage tour of the Abigail’s Party set. At their second meeting, Costume Designer Sophie Woodward showed them the design process that went into Hungry Ghosts. The Ambassadors also met Philanthropy Manager Chris Walters to learn more about the supporters of the program and they had the opportunity to meet the donors of the Youth Ambassadors Giving Circle. Their third meeting included a session with playwright and NEXT STAGE writer-in-residence Dan Giovannoni. The students learnt about his writing process, as well as some tips for writing their own work. Then they travelled to Southbank Theatre to see Wild. The Ambassadors’ fourth meeting was jam-packed with activities! They started by meeting some of the An Ideal Husband cast in the rehearsal room, then they chatted with set designer Andrew Bailey about his work on Wild. Andrew discussed all the theatrical trickery that was used to create the astonishing coup de théâtre in the play’s final moments. 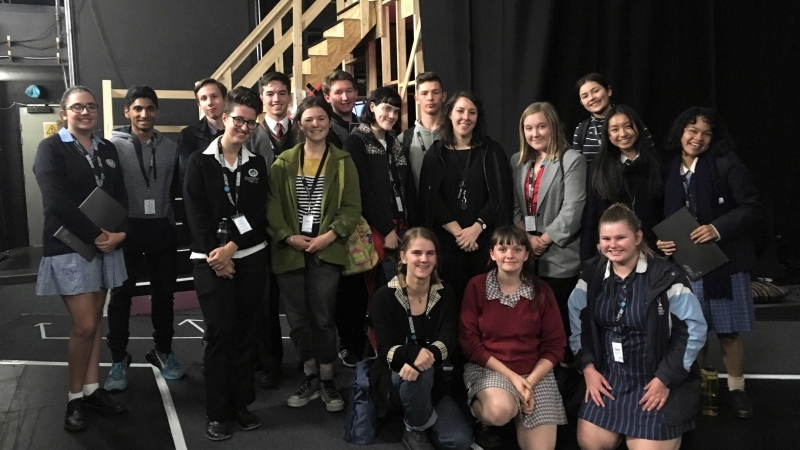 After seeing The House of Bernarda Alba, the Ambassadors had a Q&A with the cast on stage. Their next meeting will be to see Gloria, and everyone is very excited!